As per the data shared by the government, there are an estimated 5.53 lakh Indian students studying in 86 different countries. USA, Canada & Australia account for 2/3rd of this number. The government data on the number of students in USA & Canada does not match with the data released by those respective governments. 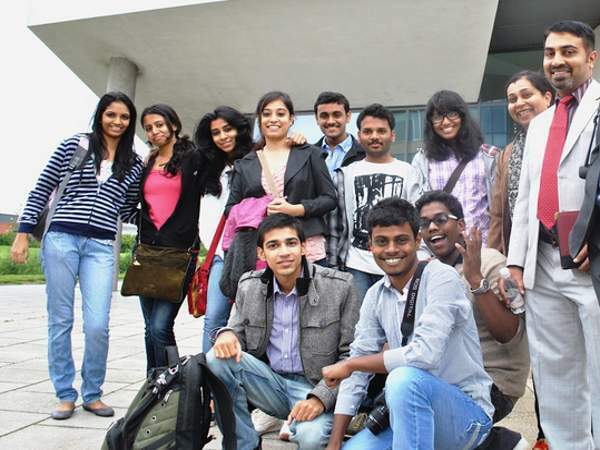 It is a well-known fact that many Indian students go abroad for study. While the data on number of such Indian students who go to countries like the USA, Canada etc. is released by respective countries, the data on the number of students who go to other countries is not known. The government has now shared data on the number of Indian students studying abroad based on information received from various missions abroad. An estimated 5.53 lakh Indian students are studying abroad in 86 countries as per government data. As per government data, there a total of 86 countries where Indian students are studying. 36 of these are from Asia, 32 from Europe, 8 from Africa, 6 from South America and 2 each from North America & Australia. More than 50% of the Indian students’ study in North America. More than 90000 Indian students study in Asia as well as Australia. Though Indian students are in 32 different countries of Europe, they only make up 52116. As per government data, 206708 Indian students are studying in the USA out of the 553440 Indian students studying abroad, the highest for any country. Canada is second in the list with an estimated 100000 students while Australia is third with 63283 students. These are the only 3 countries with more than 50000 Indian students and make up for 2/3rd of the Indian students studying abroad. It has to be noted that the data for USA & UK is from 2015-16. Out of the 86 countries, 26 countries have less than 100 Indian students each while 20 other countries have between 100 and 500 students. Ten other countries have between 500 and 1000 students. Only 3 countries have more than 50000 students each while 5 other countries have between 10000 and 50000 students. China & Bahrain are the only two Asian countries with more than 10000 Indian students each. Countries like Serbia & Mongolia have only one student each while Uzbekistan, Greece & Bosnia have two students each. The data released by the Ministry of External Affairs (MEA) does not match with the data released by other countries. For example, there are 1.66 lakh Indian students in the USA in 2015-16 as per the data of US government while the MEA data puts this number at 2.06 lakh. Data from a Canadian NGO puts the number of Indian students at around 50000 in 2016 while there are 100000 Indian students in Canada as per MEA. It is for MEA to explain this discrepancy.